On this page you will find a list of past events attended by NWCC clicking on the end column will take you to the details page of that event, there you can view members comments and reviews on that event. 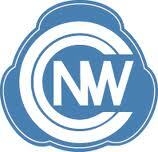 This facility is only available to NWCC members. Car show in aid of "Polymicrogyria and Joshy"
SHCCA Stag Hotel Garswoodood CANCELED.